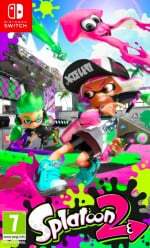 Have you played Splatoon 2 since the game has been updated? Tell us below. Those Ultra stamp buffs look scary good! @MattFox you should read all of it. Love the buffs the Booyah Bomb got. It was so weak and easy to avoid. The bomb could be thrown right under your feet, and you could easily just walk away from the expanding dome. Still no Cloud Saves... yawn. You know I played the crap out of the Wii U version. I wish I had more time for the Switch version as it's a better game over all then the first but there's just too many darn games on the Switch! I like to finish games these days and not get stuck online for months at a time. Same here there are so many great games! @TheAwesomeBowser I highly doubt that cloud saves are ever coming! @Grant007 Me too, mate. Me too. Same, it was easy to dedicate time to Splatoon on the Wii U because of the game drought, but I shelved Splatoon 2 pretty much for good after beating the Octo Expansion. It's a fantastic game like you said, but there's too much to play to stick to it! @Spoony_Tech I was the same as you but I've got right back into it again over the last 2 or 3 months, I can't get enough of it. Clam Blitz is my new favourite mode. I was just thinking the other day we should team up again one night for old time sake. I've had a break during the last month or so as I've wanted to start some new games but I can't wait to get back into it again. My friend code is SW-6688-5837-3864 if anyone's interested in playing. I just wish they would remove Clam Blitz. I played the first splatoon like crazy - but when I see clam blitz, I just turn off splatoon and play anything else. @OorWullie I would like that! It's been over a year though since I've played it. I can't be mad about the Kensa Sloshing Machine nerf. I was charging specials so fast, it was turning into a Kensa Splashdown Machine! And a big ouch to the Ballpoint and dualies. I feel so bad for your nerfs.......................................................................LOL! The main update I was after was the ability to play online through Vodafone.. so frustrating wanting jump into a game when out & about but having the wrong network provider! I only got into Splatoon 2 mid-last year? I'm absolutely loving it! If anyone on NLife are looking to make a team, count me In! Seeing the smash changes and then this just further makes me appreciate that they outline specifics to each weapon. Really nice. Now if only they would add some quality of life improvements! Kinda regret not Picking Splatoon 2 up during the last big eshop sale. Oh well I'll nab another copy someday.....someday. Note that I'm currently S+ in all modes except Clam Blitz, where I'm at S.
I wish in the vein of good sportsmanship that there was a way of congratulating or GG'ing your opponents after a match. We have it for other games, why not Splatoon 2? No fix to casual multiplayer, not coming back. 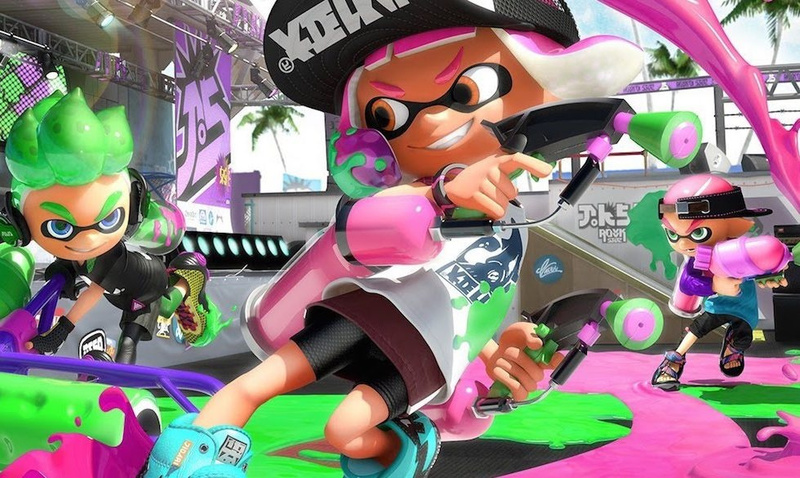 I'll await Splatoon 3 where they hopefully grasp the idea that friends want to play WITH each other and not AGAINST each other.